Disclaimer: Remember post-op nutritional plans vary. My sister had the same surgery with a different doctor and we had very different plans. Dr's often adjust based on anecdotal evidence, experience, individual patients health needs or history. Here are the ASMBS Allied Health Nutritional Guidelines for the Surgical Weight Loss Patient and 2016 update. ALWAYS check with your medical posse first. There is a difference between clear liquids and full liquids. This post lists both. A clear liquid diet is often used as the first step in post-op nutrition, they supply fluid, electrolytes, and a limited amount of energy and encourage the restoration of gut activity after surgery (some Dr's skip this and move straight to full liquids.) Full liquid diets include milk, milk products, milk alternatives (lactose intolerance or dairy-free) and other liquids with slightly more texture. 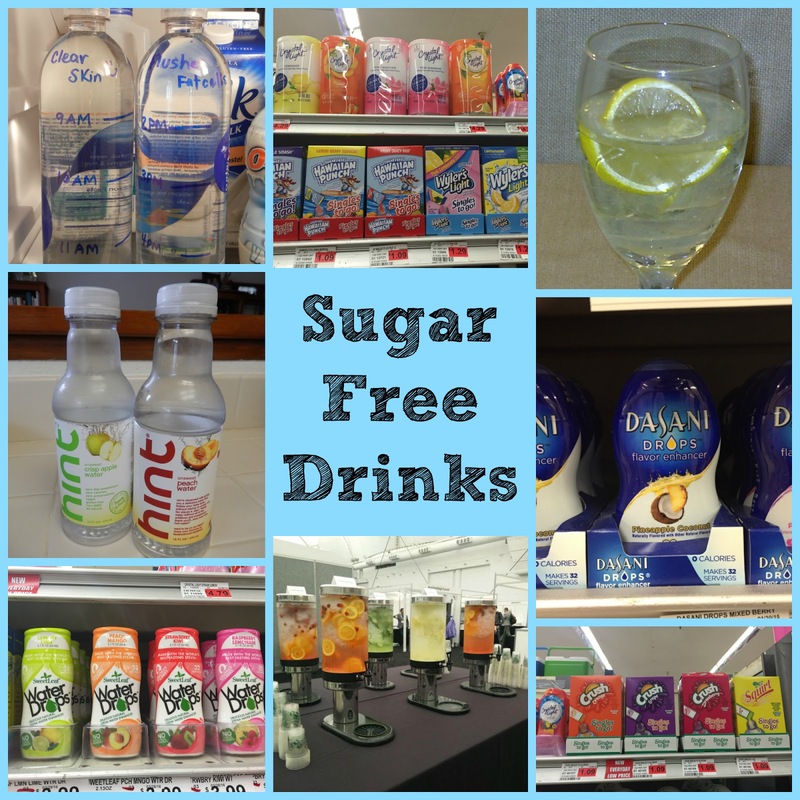 Be sure you are always choosing sugar-free, low naturally occurring sugar (lactose), no added sugar liquids. There's not much you can do but survive this part of the journey. The liquids through pureed/soft food phase are miserable and until you start eating "real food" again you will feel like a patient. It gets better I promise. Popsicle Molds - $1 store carries them or you can do the old Dixie cup, foil and wooden stick trick but I love these molds. You can pour leftover SF drinks in and make your own popsicles. If you want to take your popsicles on the go these popsicle baggies are pretty cool. Ice Cube Trays - You will be opening boxes of broth or making homemade broth (great to do a couple of nights before surgery), pour the remainder of the box into an ice cube tray and freeze. When frozen unmold and put in a freezer Ziploc bag. Nuke one or 2 cubes as needed. I know... 1 or 2 cubes crazy?! but remember you are healing and this won't be the way you "eat" forever. It will freak you out for a bit. I drank capfuls of double milk (recipe below) and cried and thought "What the hell did I do to myself?! I can't live like this?!" It's the shock of surgery, shock of new life, drugs & anesthesia in your system, hormones, lack of nutrients... again... it gets better I promise. Measuring cups and food scale - When our nerves are healing we may not be getting the signal or feeling of fullness, as RNYers we also have a bypassed pyloric valve so fluids flow on through. Post-ops often question "Did they even do surgery?" 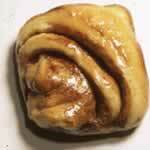 when they don't feel restriction, you will know you had it during solids. Trust me. Remember I said this the first day you eat chicken. It's important you eat the appropriate portion sizes (your Dr. will provide you this info at each food phase) things like measuring cups, little portion cups and a food scale can help. Blender Bottle for shaking up protein powder shakes and Travel "sippy-cup style" Mugs which sort of skims foam off protein shakes as you drink them, foam can sometimes make you more gassy early on. Sugar Free Drinks - look for non-carbonated, caffeine free (most programs clear you for both in moderation after a time) I love the little sticks that can go in water: crystal light style. Dehydration is one of the main reasons for readmission to the hospital post-op so don't let it happen to you. Sip, sip, sip. Sugar-Free Jello (packets and refrigerated cups) - seems thicker than "liquid" but generally is OK and when you are allowed yogurt try one of my favorite recipes: Fluff Stuff or Protein Jello Shots. Popsicles - Sugar-Free Popsicles will be your best friend, crunch factor. Bone Broth (more protein) Pacific Organic Bone Broth comes in some fun flavors: Turkey with Rosemary, Sage & Thyme, Chicken with Ginger, Chicken with Lemongrass and Chicken Original. 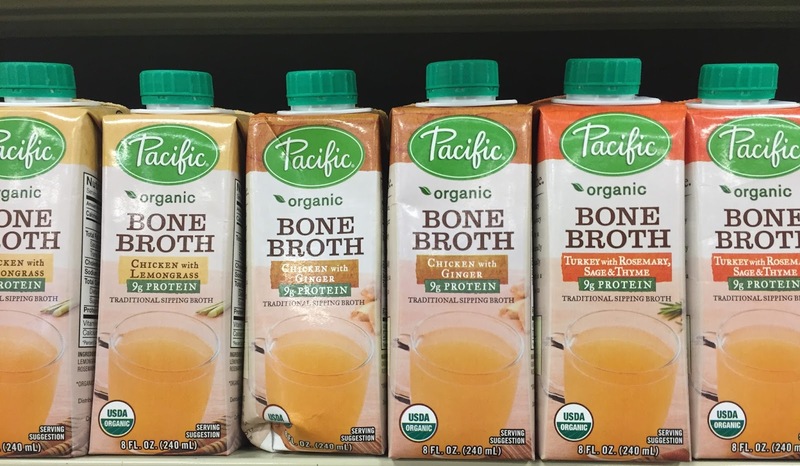 Protein Soups - A few companies make savory protein powders now. Celebrate Vitamins (see link on the left) makes a Chicken Soup and Tomato Soup version. Strained Cream Soups - Just make sure there are no solid chunks of veggies or meats, pour through a fine mesh strainer. 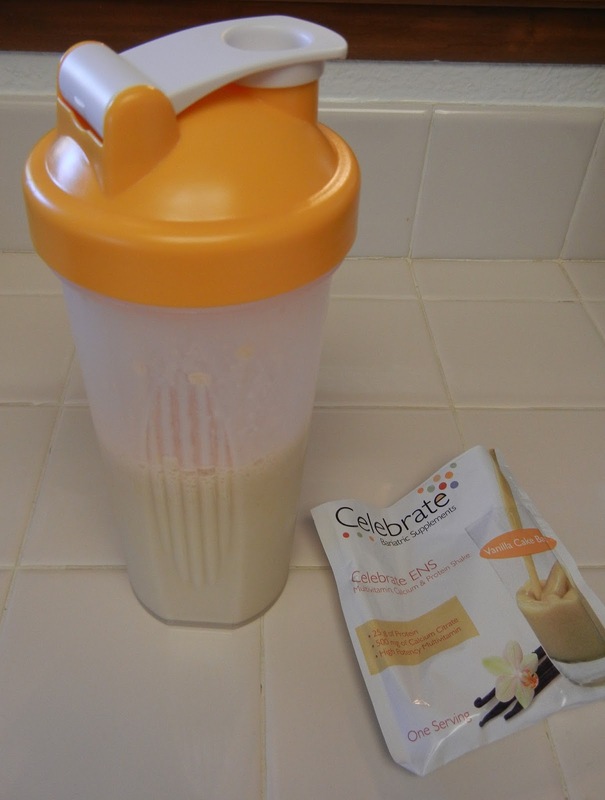 Unflavored Protein Powders - These are not without flavor (just without chocolate or vanilla type flavors) so you can mix in drinks/soups/food when you are on the next stage and bump up protein grams. Double Milk - 1 cup Milk mixed with 1/3 cup Nonfat Dry Milk Powder = 16 grams of protein per 8 oz. serving. You can add Sugar Free Syrups to change the flavor up. Great option if you run out of protein powder or it's a tight $$ month. 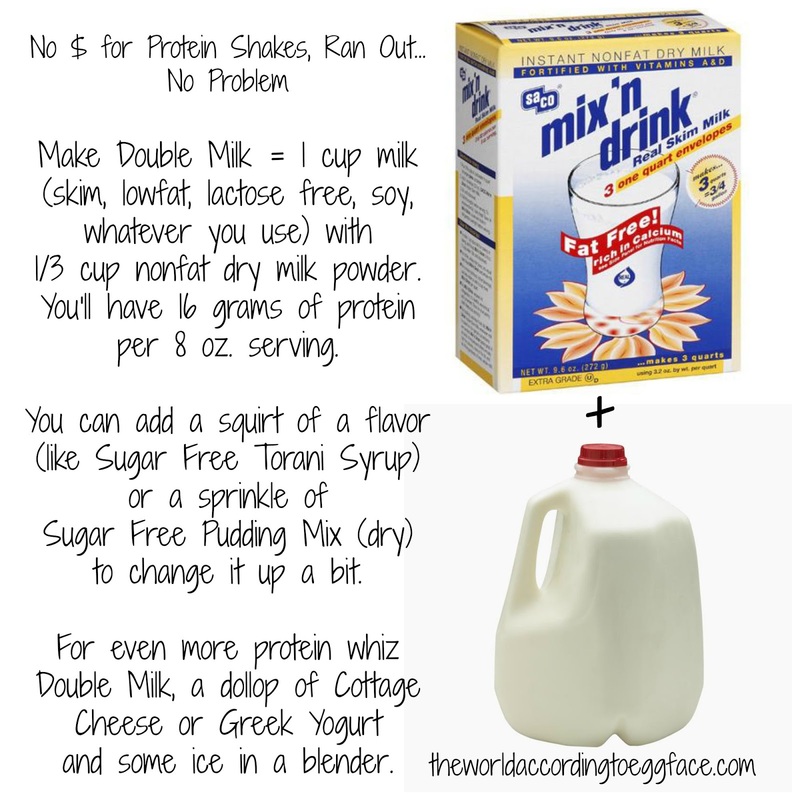 Protein Shakes - Look for low carb, low calorie, whey protein isolate is best for absorption. Then it's really a personal taste thing... keep trying them you will find a favorite... look for travel packets, samples, sharing tubs with other post-ops. Awesome... I love when the universe works like that. Sending you speedy healing wishes. I was wiped for a while too then suddenly around week 7 I was a ball of energy. Great days are coming!! I was about to post the very same comment, just had surgery on May 3rd and was wondering if I should be feeling more restriction/fullness from liquids, very reassuring to know it will come in the solids phase. Your blog is a really great resource, thanks for everything! I am so glad to see new post surgery folks reading and finding it helpful. Myself, I've been post op for almost 7 years, but have had a regain and am going to do a pouch reset. I always love your ideas, and you are my hero as you have been an advocate and through your discipline, you have also worked this tool to its utmost advantage. Hi Shelley! I was just sleeved 10 days ago and my husband found your site. I'm obsessed with ice cream and I knew that would be the hardest part for me. In comes my husband and finds your amazing site! He bought me a bunch of ingredients and an ice cream maker for Mother's Day! I didn't even know protein ice cream existed or you could even do that! I love it! You may have just saved me!! Anyway, I've been looking for that Max Protein you mentioned but I also see that was from 7 years ago. Does it still exist? I didn't see it on GNC's website either! Please tell me what you use. I'm going to try my first batch with Quest protein tonight! Thank you so much!! Hi Adele, How cool is that?! What an awesome, supportive husband! Well Max is no longer around in the form it was unfortunately. You can use any you enjoy though... just be sure the milk is 2% or so. Too watery and it'll get icy. Still tasty but not as creamy (fat content makes it creamy) I use whatever I have on hand.. whey isolates work the best. Hey Kat, Thank you for the lovely message. On the pouch test... I'd just go back to your Dr's plan ;) versus any "resets"... head back to your Dr... maybe get a new set of labs, chat with the dietician again about where you are at and what's gone on in your life that led to a stray from the original plan. They get that this is a lifelong, chronic disease that requires chronic treatment and when life changes we need to reassess. Chocolatechip Bailey, Call your surgeon's office and let them know. It does take a little to learn to control the amount of liquid you swallow at a time... and some ouch moments do happen in those first few weeks if you gulp to much but everytime, with every "sip" is not the norm. You do not want to become dehydrated and end up readmitted. Hope it is easily resolved and please comment and let me know! What a great and helpful site you have. Your humor is pretty spot on too. Had my sleeve surgery on June 7th and I feel great. Little bored with the fluids! But vanilla premier shake used in place of water with cream of wheat is great. I get to start the purée phase on Tuesday so the ideas here are perfect. Thanks! Thank you. I am a few weeks away from surgery. What great information. Thanks and so glad I found your site. I had my surgery (sleeve) on Aug 16 and have struggled with the full liquids this week - can barely tolerate the taste of the protein drinks, altho I did find Premiere to be more palatable than most. I'll try you smoothie suggestions - have strawberries and raspberries in my freezer but suspect hat it will work as well as cherry. Have tub of chocolate Bariatric Fusion. For me a bad aftertaste, so when its done, I'm done with it. Have one more week to go on full liquids per my team's plan, so I will just march on. Once I have made the commitment to such a life and body altering procedure I don't want to screw it up. So far energy level is not too bad. Just trying to keep track of my daily protein (60 grams/day for now). Things like sugar free jello and popsicles have helped when I need a break. I am post surgery day 10 I think the hardest part is the eating using the 1 ounce little cups. I feel like all I do is eat refill eat, refill and eat. But getting up and down to do this can be very painful. I think I found my grove today. I measure out the amount of whatever I am going to have and I know how long it should take me to consume it and this is working so much better for me. 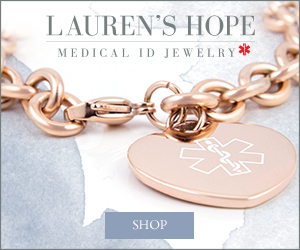 I cannot wait to see my dr for my first post op apt I have so many questions thank you for your site it is nice to know other people are in the same spot I am. I had mine 12/ 2016 too. It does get better it was very had for me. Today, I'm 11 days to sleeve surgery and 4 days in on my liver reduction diet. I will admit to being terrified of what's to come but know its the best I can do for myself to lead a healthier life. Sites and posts are a HUGE help so thanks so much for sharing. I had my sleeve surgery 11 days ago and I am finally meeting my protein goals, etc. It took awhile to get in the groove. My go to meals are a homemade smoothie for breakfast and dinner, and a Premier Protein shake for lunch. That gives me my 60 grams of protein daily. Snacks are either skim milk or applesauce. My favorite smoothie is so easy and cheap! In the blender, blend up one individual 1/2 cup container of no sugar added fruit packed in water until there were no chunks, and then mix in a container of Oikos Zero Greek Yogurt, any flavor. Peaches with peach yogurt is the best. I found the Walmart brand to be too watery but the Mott's worked great. Hi! I was sleeved 5 days ago and I literally wondered if they did anything bc I feel nothing! Besides starving on the liquid phase! Hey Sleeved 5 days Ago... Remember nerves were cut and those nerves need time to heal. Believe me the day you start solid food you will see the power of your surgery. Be sure you are drinking and aim for better each day with the protein goals your bariatric program has... it will help the starving feeling. OMG I just found this, I was sleeved 4 days ago and today I've been really hungry, and yes I felt bad about it... saw my incisions and asked myself, did they really do something in there??? apart from pumping some gas inside... this blog of yours came in the right time thank you so much!!! God bless you!!! So glad to know I'm not alone! I had my by-pass on October 3, 2017 (less than a week ago) and everyone said I would not be hungry afterwards. I'm so hungry and the smell of food makes me feel even more ravenous. I can't really tell if I'm full or not because my stomach feels so bloated and uncomfortable. I don't have any energy and don't feel like doing anything. I'm getting mist of my fluid from popcicles, because the water actually feels kind of sour in my stomach. I wish I could just pull the covers up over my head and sleep until this stage passes! I had bariatric surgery about 20 years ago, I have gained back quite a bit and am looking to lose about 50 lbs. 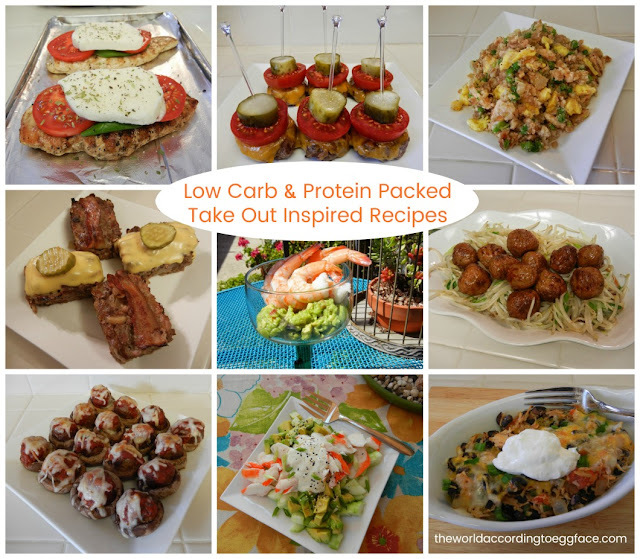 How do i go about a pouch reset? and is it even possible after all this time? Sure Sherri, I'd go to my PCP and ask for a bariatric lab panel first to see all is well there, then ask for a referral to obesity medicine or weight management Dr. they can get you a dietitian or therapist or group whoever you all determine needs to be a part of your team. One last thing I'll mention... take it a day at a time. as we age our body/lifestyle may determine a different lowest weight for us, so try not to fixate on an old goal weight and more on... healthier. Hope that helps! Hi I am new to this just got sleeves on 3/23/18 yes i feel so weak the first three days I was not hungry or anything. I didn’t care to drink then I needed to before they release me it hurt so much now I am home and as of yesterday I feel so hungry my mom is the best cook I love her cooking it’s not helping smelling all that good food. I hate their liquids I am dying for the purée phase I swear I am going on a purée frenzy lol. Overall thank you for this blog we need to support each other I know I need it. 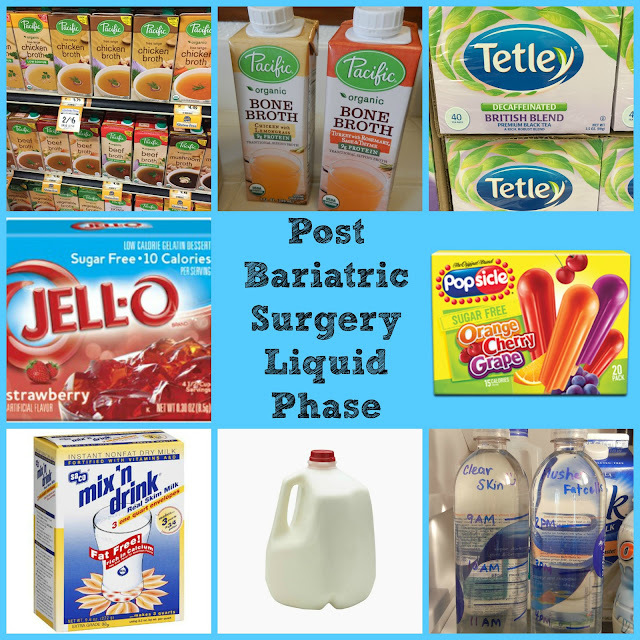 I am on day 2 of a 2 week pre op liquid diet since my BMI is above 50. Struggled yesterday, much better today. Thank you for your blog!!!! I had my gastric sleeve on December 11 and continued to dry heave the first 48 hrs, then I was so fatigued and tired I would forget to drink. I remembered I bought an interval timer called GYMBOSS from Amazon for about twenty dollars, recommended by one of support groups I previously attended. It's a lifesaver. I have it on five minute repeated timer and I clip it to my bra and it vibrates to remind me to sip liquids. I think this would be a great addition to your AMAZON recommendation list. I heard of you through a member of Obesity Help. I just bought powdered milk today and this came at just the right time, my surgery is 1/10/19. Thanks for sharing your experiences.